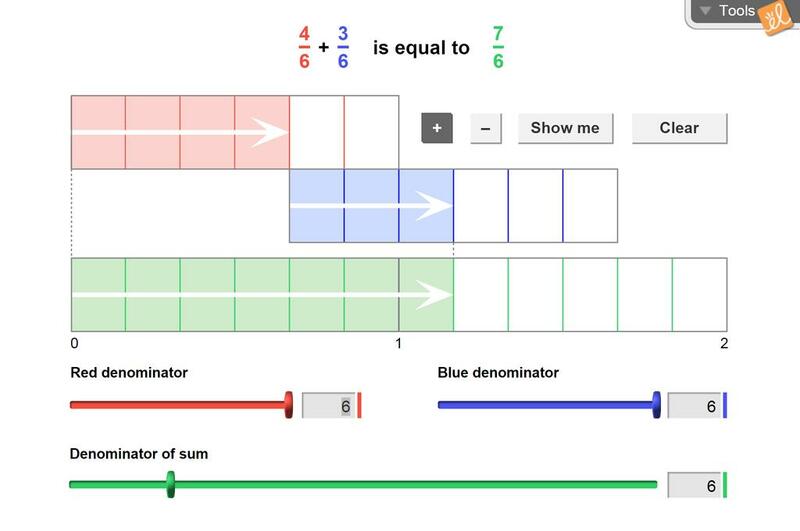 Find the sum or difference of two fractions with unlike denominators using graphic models. Find the least common denominator graphically. This document is the French translation of the Student Exploration Guide for Fractions with Unlike Denomi... (more)nators. This translation was made possible by Alberta Regional Professional Development Consortia and ExploreLearning. This document is the French translation of the Assessment Questions for Fractions with Unlike Denominator... (more)s. This translation was made possible by Alberta Regional Professional Development Consortia and ExploreLearning.